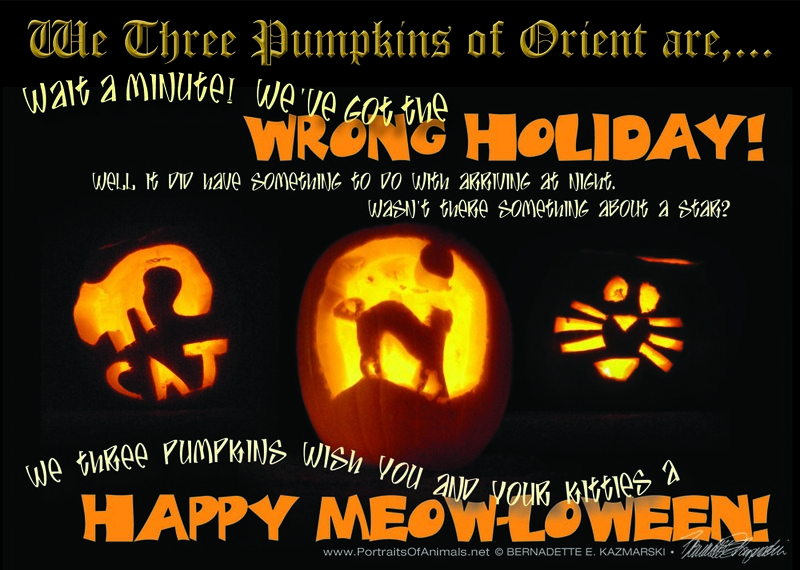 “We 3 Pumpkins” makes a pun on “We Three Kings” and features my photos of special jack-o-lanterns at the “Night Walk” along the Panhandle Trail. The Rennerdale Youth Group carves more than 100 donated pumpkins and the Collier Girl Scouts set out and light the jack-o-lanterns along a half-mile stretch of the Panhandle Trail from the bridge near the Walkers Mill trailhead to the Sunnyside entrance. 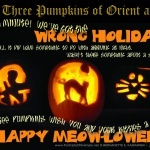 I photograph the pumpkins every year, and enjoy seeking out the feline-themed pumpkins.